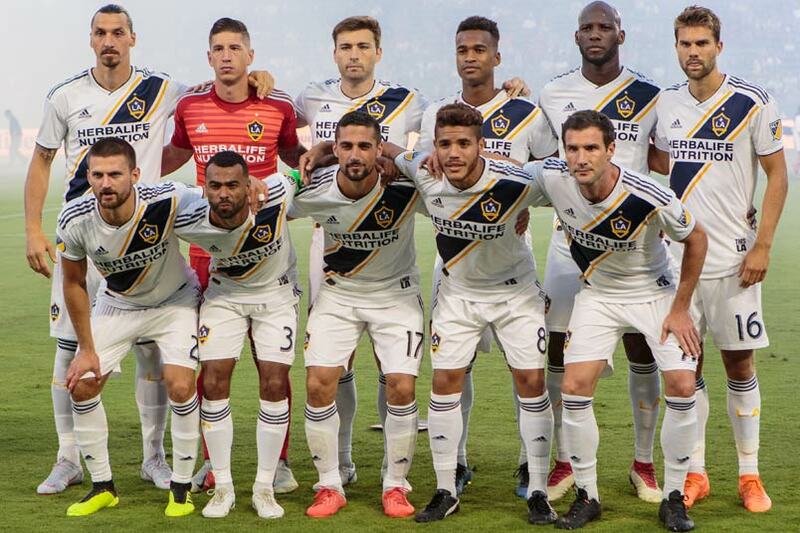 By Luis Bueno – RIVERSIDE, CA (Aug 15, 2018) US Soccer Players - The LA Galaxy is in the midst of what is the club’s most important week of the season. After having climbed into playoff contention, this week presented an opportunity to solidify that stance. On August 11, the Galaxy was set to host two beatable opponents in a four-day span before a trip north to try and keep another contending team from getting into a comfortable playoff position. Given the Galaxy’s recent fun of form - a loss on August 4 at Colorado notwithstanding - six points seemed certain. Seven or nine points was not out of the question. Instead, the Galaxy limps to Seattle with just two points collected thus far. Five points is not likely. Given the way the last two games turned out, neither is three. The Galaxy’s most important week has turned out to be the week that could bury the club. The Galaxy has squandered a prime opportunity to run the table down the stretch. A pair of 2-2 home draws against two of the worst road teams in the league, Minnesota and Colorado, means the Galaxy’s season may already be over. The playoffs are certainly in jeopardy. The club is on the brink of wasting all of that positive work. This unexpected twist to what had been a surprising mid-season turnaround brings forth the club’s deficiencies and calls into question how the team built its roster. LA did not make any moves this summer. They opted against bringing in a veteran defender or someone to help shore up the backline. Instead, the team stayed pat. While it looked like all the pieces to help the team compete for a postseason spot were in place, now it seems clear that was not the case. Any team that blows leads in the final 10 minutes at home against the likes of Minnesota and Colorado needs reinforcements. The Galaxy does find itself in a better spot now than it has all season long, even if the club squeaked out just two points at home in its last two games. The Galaxy sits tied for 3rd-place with the Portland Timbers, the highest the Galaxy has been in the table all season long. As a bonus, the Galaxy is the highest-scoring team in the west with 48 goals scored this year. Only Atlanta United at 50 goals has scored more. Other teams though have one major advantage over the Galaxy - games played. The Galaxy has played 25 games already, the most in the Western Conference. Before Wednesday’s matches, Portland had played just 21 games. 5th-place LAFC had played 23, the same as the Western Conference frontrunners FC Dallas and Sporting KC. Had the Galaxy held onto 2-1 leads against Minnesota - who was 1-9-0 on the road - and Colorado - who had just six points in 11 road games this season - the club would have had four more points. That would have put LA one point behind first-place FC Dallas. Then the games in hand would not have mattered as much. Instead, there is little distance for other Western teams to make up. Sloppy defending though has kept the Galaxy from getting more from their conference-high 48 goals. The Galaxy’s next task now seems unenviable. LA will head to the Emerald City to face off against the Seattle. With five consecutive wins and an eight-game unbeaten run, the Sounders are now where the Galaxy was a few weeks back. The Sounders though carry with them a swagger and confidence that the team has built after having turned around their play in this manner in 2016 and 2017. Perhaps there is something the Galaxy can pick up from being around the Sounders as to how to effectively turn things around. Or maybe the answer to that comes from within. At least one theory is floating around in the locker room. The Galaxy has lacked a bit of fire and intensity in closing out the last three games. The Galaxy turned a 1-0 lead into a 2-1 loss at Colorado on Aug. 4. The Rapids found a 90th-minute winner that day. Heading into Seattle, the Galaxy has allowed three goals after the 80th minute that has cost the club five points. Some type of jumpstart is necessary to turn the tide, if that is even possible.